To ship freight either to or from New York State or New York City, contact FRC, or simply use our automated online quotation system. FRC is one of the premier trucking logistics companies for New York Freight. Click here for a free, instant online freight quote. Our quotation system can give you an estimate for full truckload, less than a truckload or international shipping. Following is some information on New York trucking regulations—and the state’s unique terrain and weather challenges. State highways form the bulk of the routes for New York freight companies, as many of the large parkways restrict use by large commercial vehicles. State highways are numbered from one to 899 and routes numbered between 900 and 999 are defined as “reference routes”. New York has a diverse and booming economy, with income topping a whopping billion dollars annually—giving it the country’s third highest GDP. The New York freight industry has blossomed with year-over-year sustained growth, thanks to the large import and export industries. The industries serviced by New York trucking companies include all the state’s major exports: food, minerals, heavy manufactured goods, diamonds and automotive parts. But exports aren’t the only big business; the state also imports billions of dollars in oil, gold, natural gas, aluminum, rough diamonds and lumber. Interstate shipping is a powerhouse industry as well, accounting for 41% of shipped goods. The most popular routes begin in Rochester, Albany and Buffalo and deliver heavily to New York City. Due to New York State’s central location, large population and freight-heavy industries, the state ships $262 billion worth of goods annually, weighing over 220 million tons. Much of this traffic leverages freight shipping from New York to Los Angeles, which is an extremely popular cross-country route. Freight shipping from New York to Los Angeles accounts for 5.3% of all goods shipped from New York. Other important routes to the New York freight industry lead to Texas, Florida, Illinois and Washington, which purchase large quantities of manufactured goods and natural resources, including minerals, coal and natural gas. There are a myriad of rules specifically related to New York City trucking companies, including strictly enforced restriction of commercial freight trucks and tractor-trailers on the majority of city parkways. Due to both congestion and the scenic nature of New York State parkways, commercial trucks are barred from the bulk of the state’s freeways. 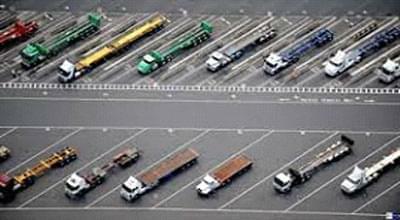 This means that freight shipping must be completed primarily on the labyrinth of local highways. In addition to parkway restrictions, there are also time-based travel restrictions. Travel is permitted beginning half an hour before sunrise until half an hour after sunset from Monday through Friday. On Saturdays, commercial freight shipment is allowed until noon. There are thruway permits available that in some instances allow for continuous travel. Trucking permits are required for New York freight companies and trucks and can be purchased by phone. Permits carry a cost of $40 and last for eight days. 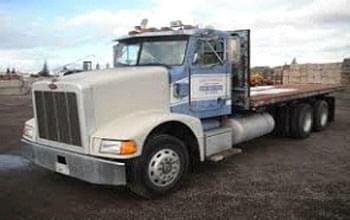 For specific truck guidelines, visit New York trucking website. Width: 8’-0” or 8’-6” on Interstate and other designated highways. Weight: five axles at 110,000 pounds or six axles at 132,000 pounds. Width: 14’-0”; if over 16’-0”, a bond must be posted. Height: 13’-11”; if over 14’-0”, you will need a route/height survey.